Sixty plus years of Catalano commitment to quality, service and satisfaction are the reason Catalano Customers enjoy boating more. Customer service excellence, customer satisfaction assurance and a commitment to quality are hallmarks of excellence because these are what deliver a truly great boat ownership experience. The Catalano's are committed to that ownership experience like very few other boat dealers and that’s why we deliver the very best in products and services. We are a consistent, long time winner of Grady-White Boats’ prestigious Admiral’s Circle sales and service award and we have received many proud recognitions for excellence from Yamaha outboards as well. For over 60 years the Catalano family has delivered a great ownership experience to families and customers in the tri-state area and along the waters of Long Island Sound. 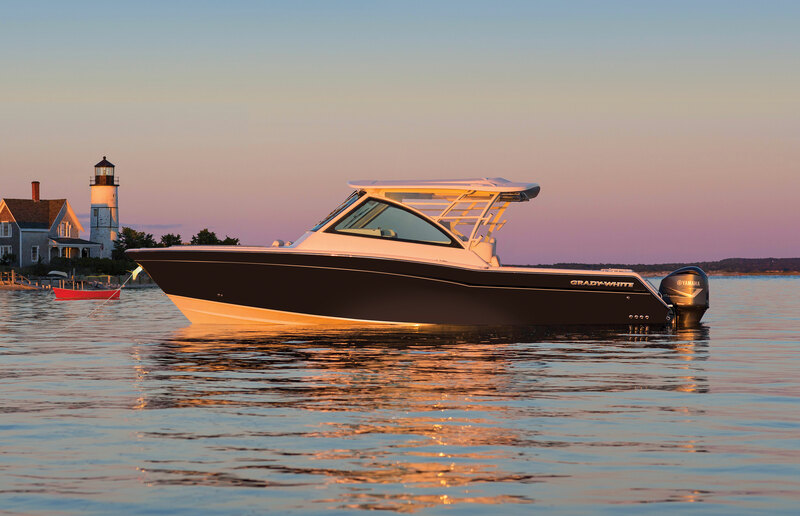 Today, the third and fourth generation of the Catalano family carry on the tradition at the dealership in Greenwich, CT offering outstanding service and boats from Grady-White. No wonder Catalano wins awards. No wonder Catalano customers enjoy boating more. 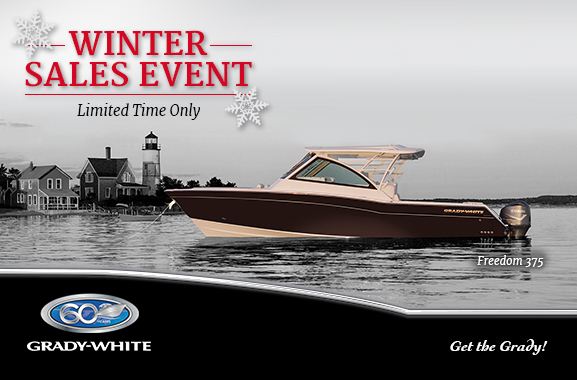 Grady-White Boats Winter Savings Sales Event! There is simply no better boat, and no finer ownership experience. Choose the Grady of your dreams and customize with options to receive special Winter Sales Event pricing from your Grady-White dealer. passed away on April 2, 2018 of natural causes. 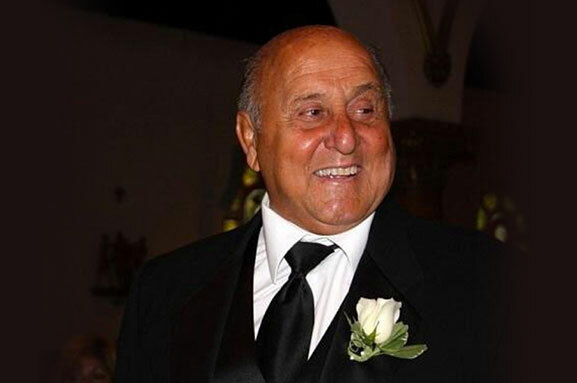 Along with his father and brothers, he founded J. Catalano and Sons, Inc. in the 1930’s. What began as an ice and coal business transformed over the years into a highly successful marine dealership through Philip and his brothers’ belief in treating customers with respect and honesty, plus strong principles of hard work and doing the job right. A great source of pride for Philip was the third and now fourth generation of Catalanos who continue to follow his inspirations and values. Click “See More” to read more about Philip’s story. 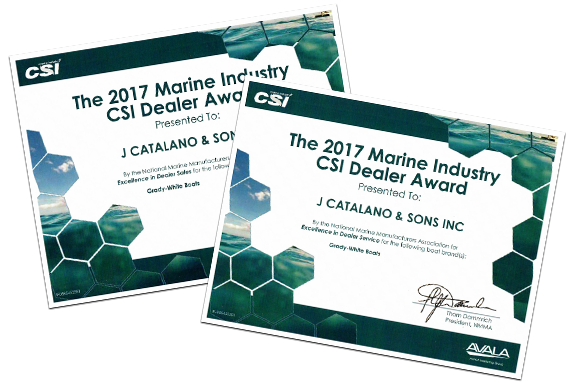 Catalano and Sons is proud to announce they are the recipient of 2017 Marine Industry Customer Satisfaction (CSI) Dealer Awards. These CSI awards are presented annually by the National Marine Manufacturers Association (NMMA) to dealerships that provide excellence in the areas of customer sales, and service.